Boobies and whiskey. In no particular order. A vaccine for DTBS. and Re-hab institutions built to treat them. Lots more PEZ refills. The return of 110 octane gas at the pump. Pantyhose with the black line running up the rear. Mango... on SNL. The Return of Moonlighting, with Bruce and Cybill. The return of Pagan Pink Ripple. And the return of Packard automobiles. .......oh, DTBS ....Democrat toxic brain syndrome.....sorry, I hate acronyms too...! I want all of the usual stuff...cure for cancer, peace on earth, etc and my two front teeth. Why a hippopotamus? They're one of the most dangerous animals in Africa you know. Showing my age, for sure! It was a nod to an old song. I DO hope that you get your wish for Christmas. ETA the story of the song and the hippo that wound up at the zoo for his life in captivity is a sad one, to me. So, I think that is what I want for Christmas. 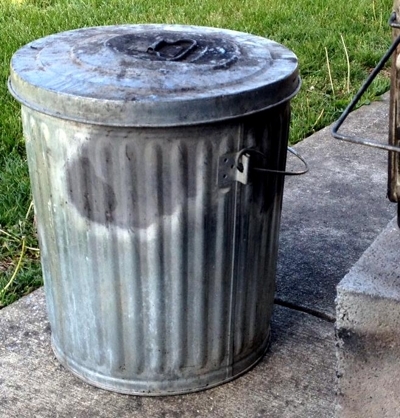 Why is a beat up old metal garbage can so hard to find?? Anyhow, hope everyone gets what they want, especially those who asked for world peace! We need some of that!